This Custom Leather Expandable Briefcase is part of the Canyon Outback Classic line which is 100% full grain,buffed cowhide leather. 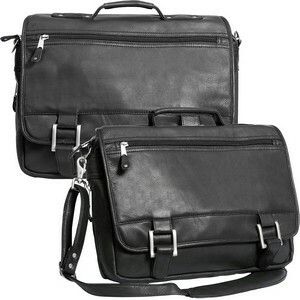 The Copper Canyon Custom Leather Expandable Briefcase is a leather computer briefcase features a large main compartment with plenty of organizing space. Includes nylon organizer for pens, software, calculators, etc. Fully lined in 600 denier nylon for added protection against spills and tears.